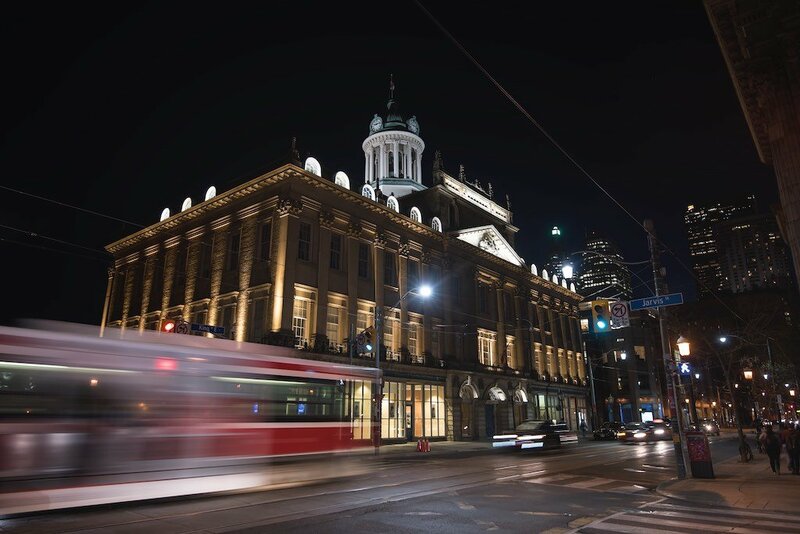 Situated at the corner of King & Jarvis, St. Lawrence Hall was completed in 1850 and opened to the public as the main meeting place – primarily for political events. Keep in mind that Canada officially became a country in 1867 – 17 years after the hall opened. Some of the prominent figures who addressed the masses included Sir. John A MacDonald, Canada’s first Prime Minister, George Brown and D’Arcy McGee. It also was city hall for 10-years until (Old) City Hall was built.The hall was named after Canada’s patron saint. 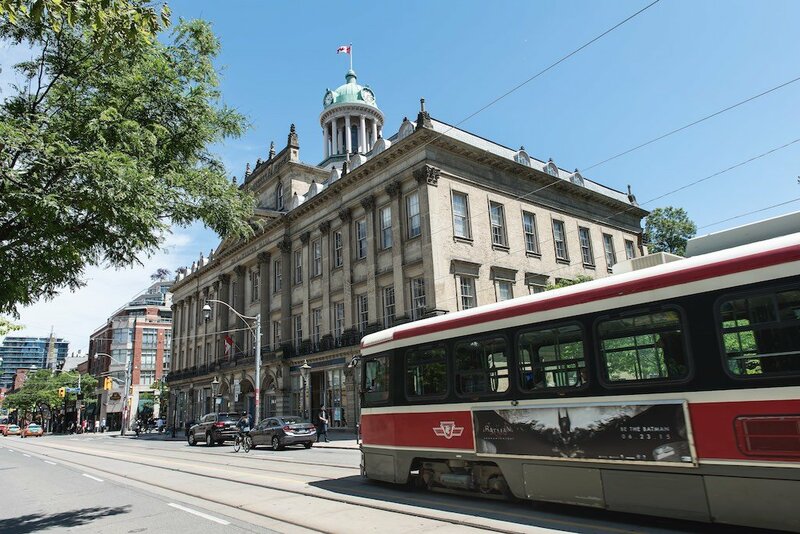 For many years, it was the centre of cultural and political events in Toronto where many balls, receptions, concerts, exhibitions and lectures were hosted. 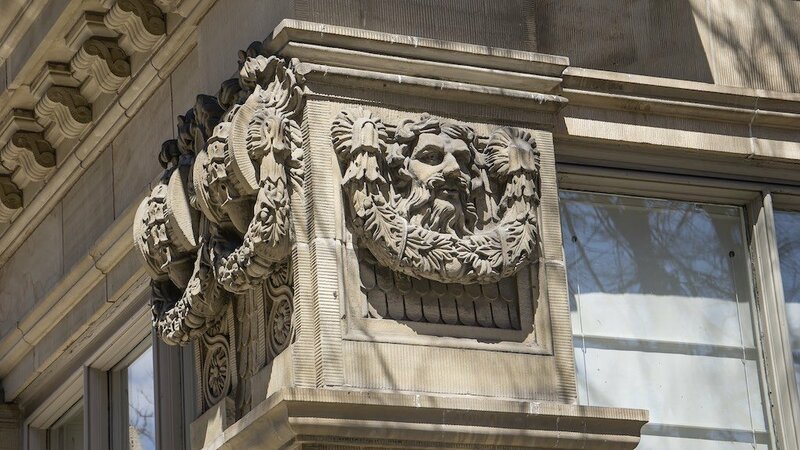 It was designed by Toronto architect William Thomas and reflects the Renaissance style, having a raised portico over an arcaded base, yet depicting a Victorian manner of architecture. From 1843 to 1860, Thomas designed over 100 buildings in the Toronto area. Other notable events, at the time, was the United States having passed the Fugitive Slave Act of 1850 where thousands of African Americans fled to Canada through the Underground Railroad. It became an important meeting place for the Abolitionist movement, hosting the North American Convention of Colored Freemen in 1851. Notable speakers included social reformers Frances Harper and Henry Bibb. Over the years, other buildings for entertainment were built such as Massey Hall in the 1890’s. Many events and concerts shifted there and the building started falling into decline due to neglect. Throughout the 1900’s it was rarely used but in 1967, the hall was declared a national historic site and restored for Canada’s 100th anniversary. Today it hosts corporate and social functions including some musical events. 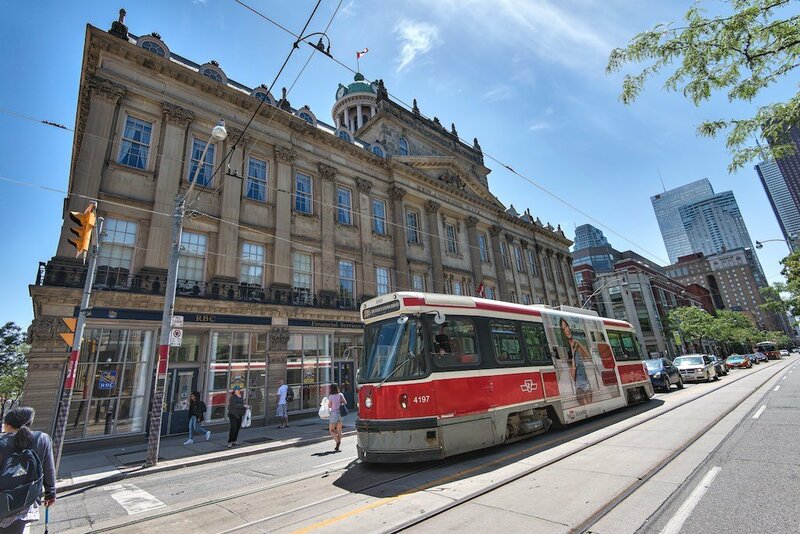 This entry was posted in Architecture, St. Lawrence Hall, Toronto and tagged architecture, Canada, St. Lawrence Hall, Toronto.